The TASKalfa 4002i black and white MFP is ideal for workgroups seeking to automate print, copy, and color scan workflows, while maximizing productivity. Offering superior performance and intuitive functionality, the TASKalfa 4002i transforms business processes with support for a wide range of paper sizes and media types. Designed to make quick work of demanding applications, the scalable TASKalfa 4002i supports optional finishers to automate cumbersome manual tasks and expandable paper supply to ensure uninterrupted operation. 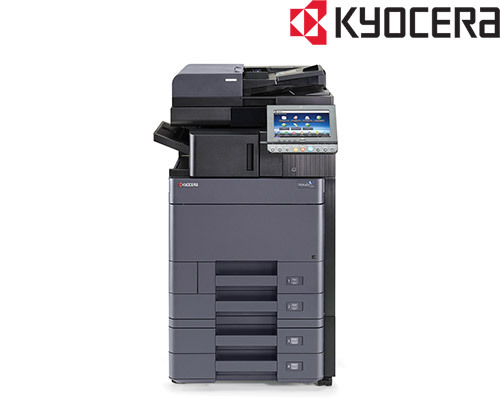 Add to that Kyocera’s award-winning ultra-reliability and unique long-life technology, and you have a powerful document solution that delivers superior performance and proven productivity.